Mayumi Ogihara says: Very graceful and gentle ♡	~ Reply? 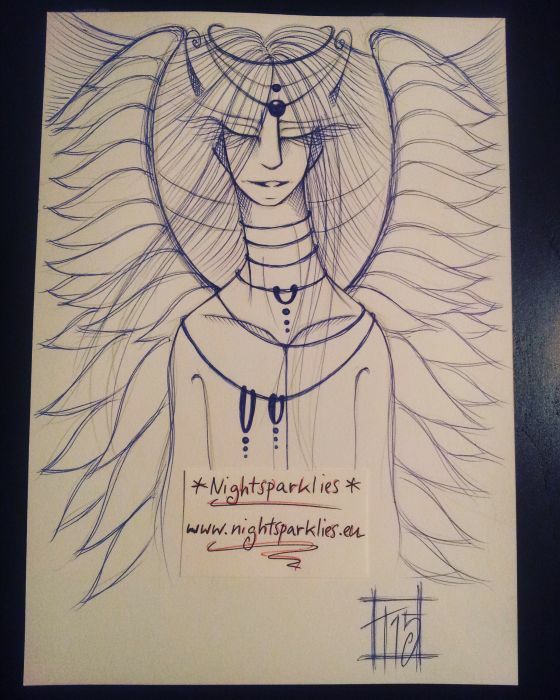 Nightsparklies replied to this: ^_^ hihi..a good friend said it looked like me..
Kir Talmage says: This has such an air of active peace. Thank you! ~ Reply? mikka says: Neat character design. I like the necklaces (?) and pendants (? ), and the flow of the hair and wings. ~ Reply?